The Alabama Art Kitchen values traditional craft and contemporary ideas. We strive act as a hub for the region’s diverse community of artists enriching Alabama’s art culture. 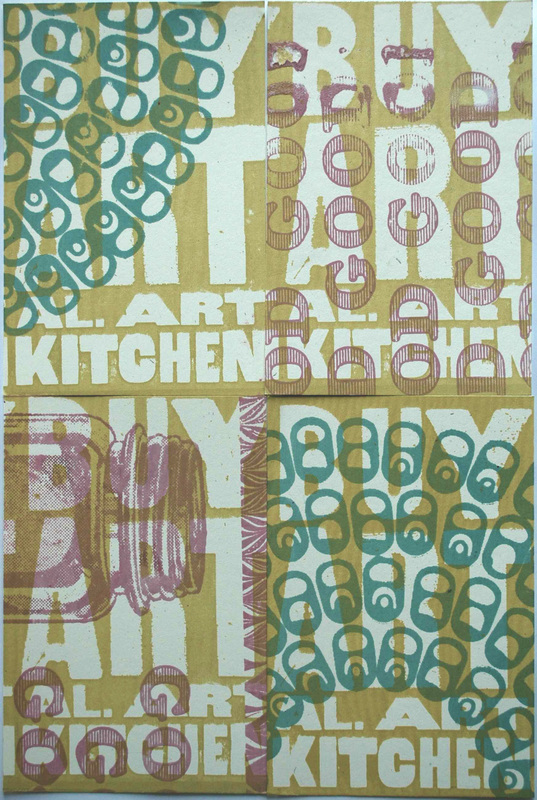 The mission of the Alabama Art Kitchen is to provide studio space and equipment to local artists as well as exhibitions, classes and workshops for the community at large. We are committed to passing on our creativity, volunteerism and experience in art and strive to increase interest and involvement with the local Tuscaloosa arts culture. We believe that making and sharing art is a great way to connect people and to support and inspire community. Hello! I am an artist in Huntsville, Alabama at Lowe Mill studios! I totally support what you are doing! I am looking forward to stopping in (didn’t know about the opening) but football hoo-ha on University Ave is in the way this weekend and next, it seems. Rats! Having been involved in two grass-roots art co-op start-ups, and one existing one in Calif & NY, I say hooray. We need more activity and energy around contemporary art here! I wish you guys the best of luck with this project! So excited that something like this is going on in Tuscaloosa! I’m one of the co-founders of The Art Hive in Florence…we’re a non-profit artist co-op that’s fundraising to renovate a building in downtown Florence. We would love to be able to partner with you on things at some point! Maybe we can come visit sometime soon. This is awesome. Being from Tuscaloosa, I have waited a long time for something like this. I can’t wait to be a part of it! Great Job! Hey, I love what you are doing and I want to know how to get involved! We’re having a painting party on Saturday (see the newest post or facebook for details). If you’re interested in membership you can come see us or we can answer any questions you might have. Our email is alabamaartkitchen@gmail.com Hope to hear from you soon! Congratulations on making this happen! Best of luck. Can’t wait to see what you guys are cooking up! I would like to be on your list of upcoming events. I am also an artist with a large production kiln looking for a place to call home… I would like more information on your group. Do you have extra space available for other artists? We’re actually expanding and will have more studio space starting this summer and the more people we have interested the more we can expand! I’ll absolutely put you on the mailing list right now. I’m not very good at approving the website comments in a timely manner but emailing us at alabamaartkitchen (at) gmail is a great way to get in touch. Have a lovely day! We’re on the other side of town so doing fine. Been helping a lot to clean things up and hope to make some art to help out soon. Thanks for the concern! Hi, I was wondering if ya’ll have any creative uses for old/discontinued wallpaper and fabric. I have books and loose samples that need a new life. Thanks! Hello Art Kitchen! I was wondering what silkscreening supplies/facilities you have, if any? I have an upcoming project that is brewing! We’ve got what you need! We’ve got tons of screens and an exposure unit (nothing too fancy but it works great). We’ve got a silk-screening class this weekend!